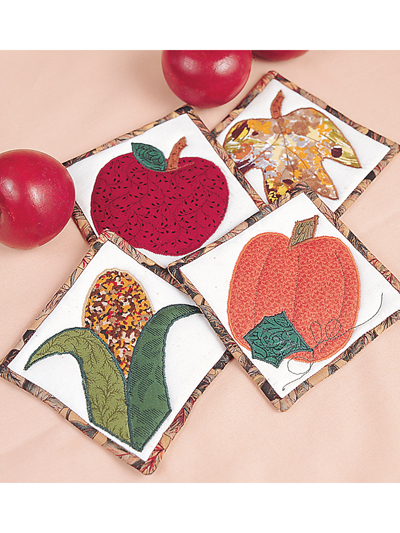 You'll love these 48 great coaster designs by Sue Harvey. 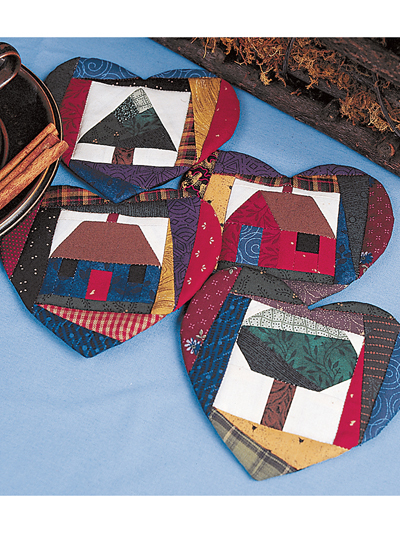 Make them as gifts for your family and friends, as well as for your own home. 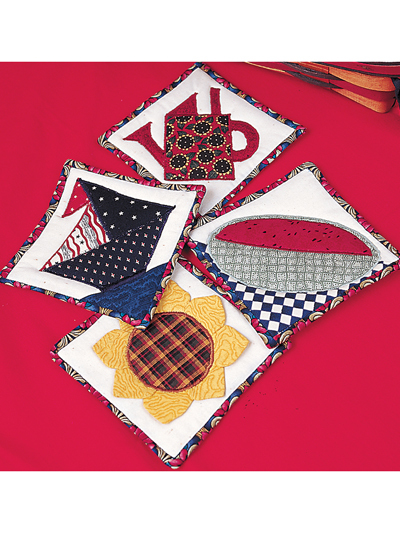 There are 12 sets of four coasters, each related to the same theme. 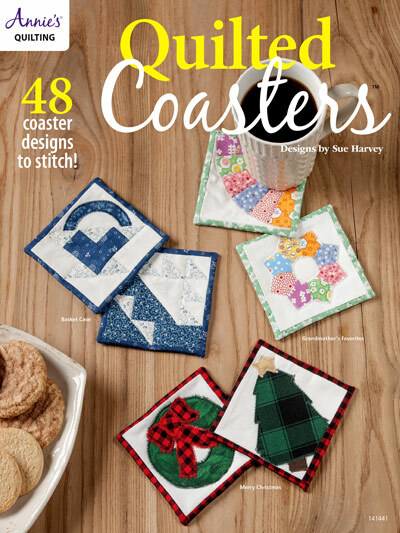 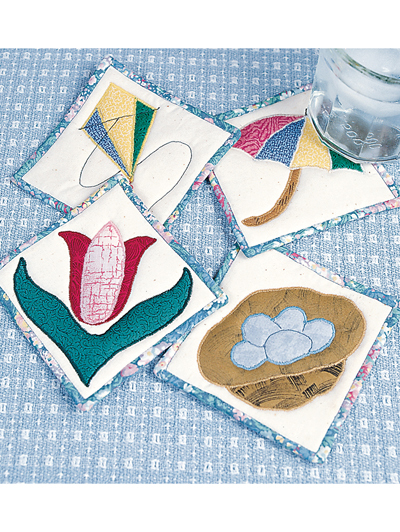 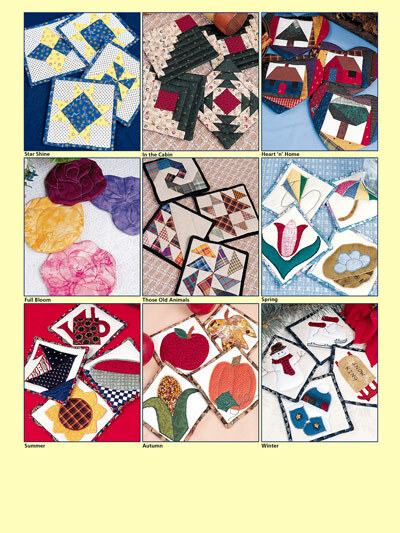 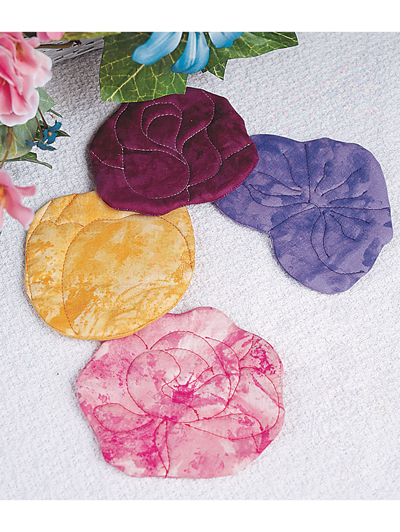 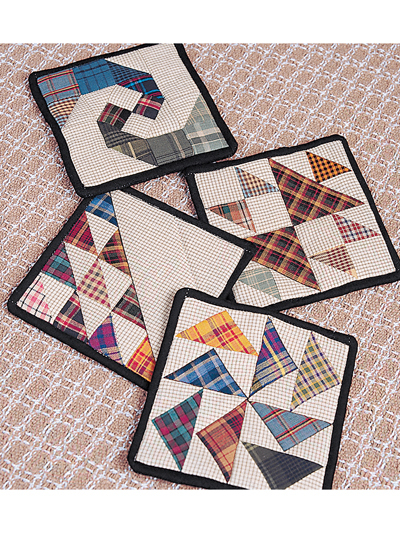 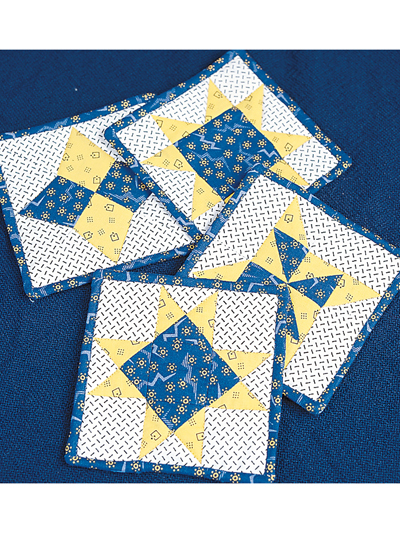 Some sets are pieced, some are appliqued, some are paper-pieced and some are just quilted. 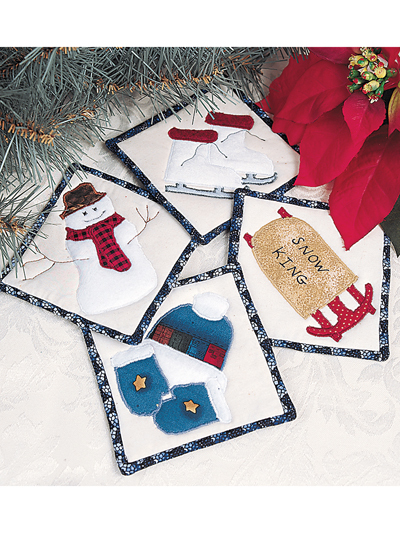 There's a set for every season and one for Christmas. 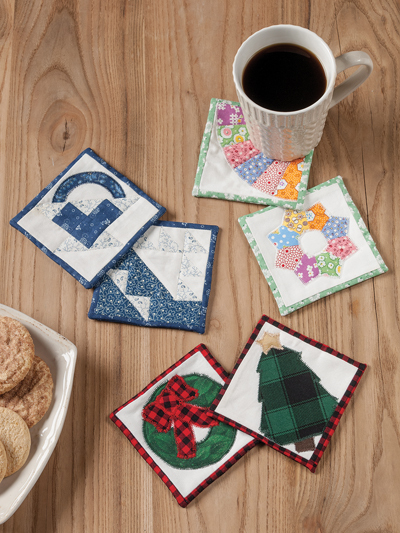 Other designs are based on traditional blocks, including a set of Log Cabin variations, of baskets and, of course, old-time favorites such as Dresden Plate and Grandmother's Fan. 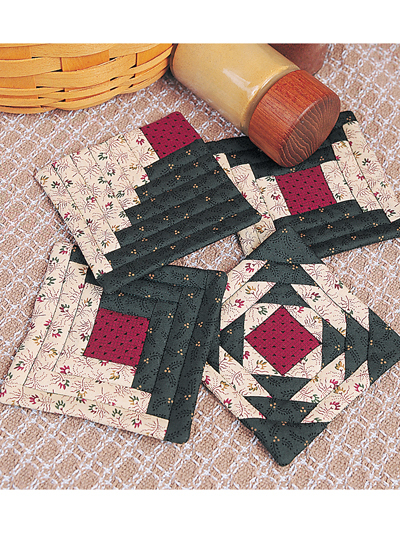 Approximately 4 1/2 x 4 1/2 inches.